Traditionally, Ada unit and integration testing is performed by developers as the code is built. As individual software components are created, test code is generated to take the place of the external interfaces of the code under test. 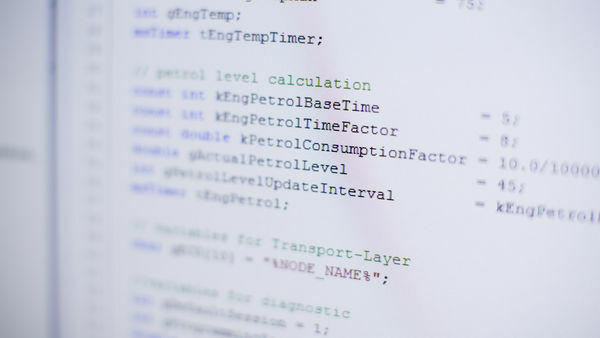 This test code, typically called a test harness, is made up of drivers to stimulate the functions of the code being tested, and stubs to take the place of dependent functions that are called by the code being tested. Our software automates the creation of stubs and drivers as part of the creation of the test harness, giving developers time to focus on building quality and thorough test cases. With VectorCAST/Ada, unit testing can be done natively or on your specific target or target simulator. VectorCAST’s run-time support package, VectorCAST/RSP, is the add-on module that makes executing your test cases on target hardware automatic and seamless. Additionally, tests can be developed in a host environment and re-executed on an embedded target to validate target and cross-compiler performance. VectorCAST/Ada is a dynamic software test solution that automates Ada unit and integration testing, which is necessary for validating safety- and mission-critical embedded systems. VectorCAST/Ada parses your source code and invokes code generators to automatically create the test code (stubs and drivers) required to construct a complete, executable test harness. After the test harness is constructed, utilities can be used to build and execute test cases; show code covered, and report static measurements. Test data is kept separately from the test harness, enabling easy automatic regression testing. VectorCAST/Ada also generates code coverage metrics which indicate which areas of the code that you are testing still have not been tested. The easy-to-read code coverage viewer indicates down to the line of code where there is testing left to be done, and can support the different levels of coverage specified in various industry standards like DO-178B. All VectorCAST/Ada generated test-harness components are automatically compiled and linked, using your compiler. An interface to your compiler’s debugger is also provided so that you can run test cases under control of the debugger. No additional configuration is required. Which VectorCAST/Ada edition is right for you?